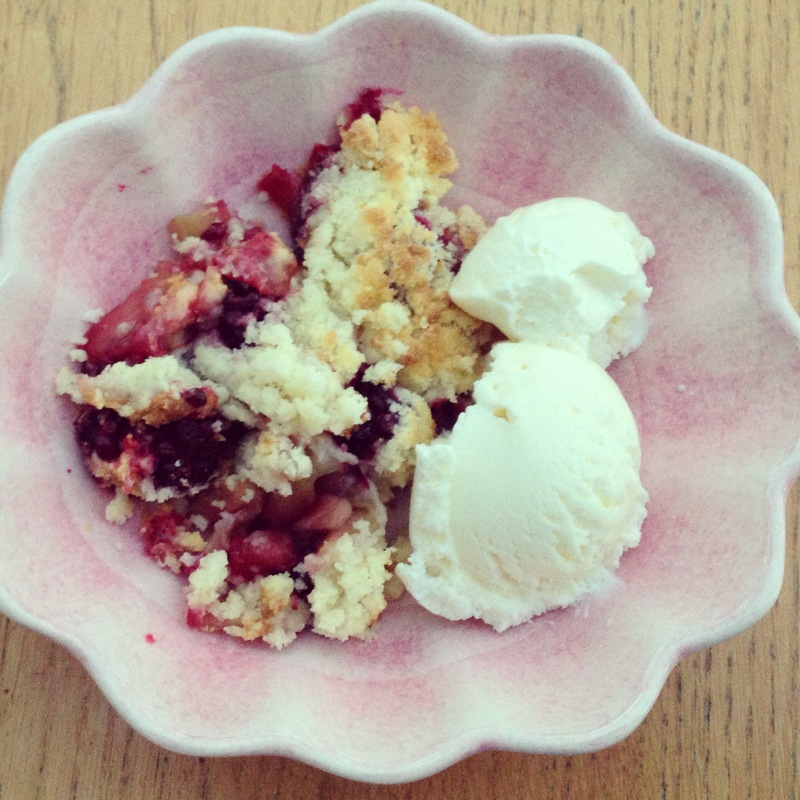 Last weekend I made my first ever crumble. It was really easy and tasted delicious so I can’t believe it had taken me so long. 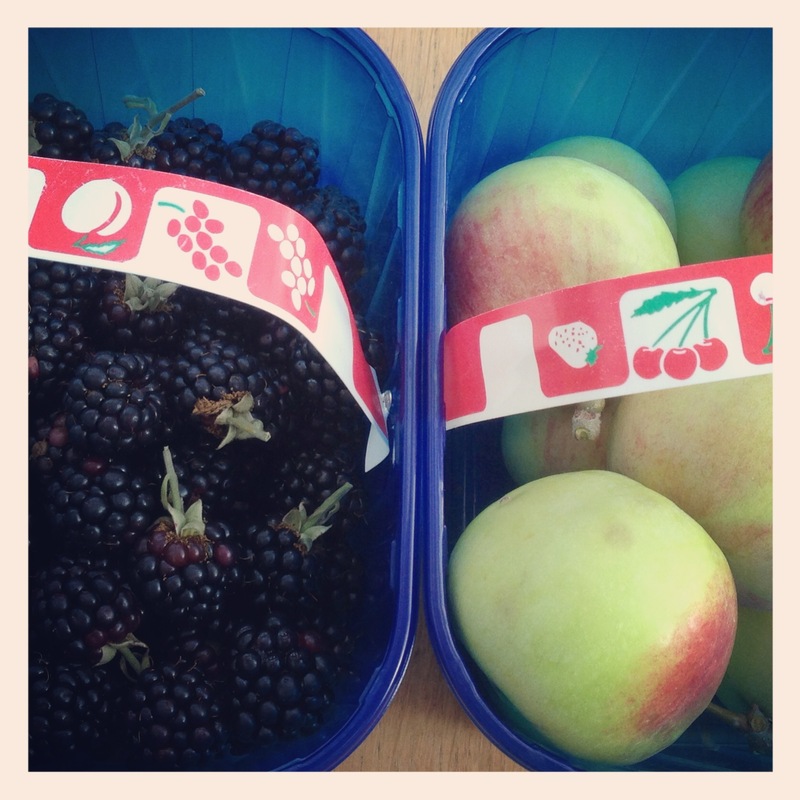 My only excuse is that, until now, the children have not been super keen on cooked fruit. But it turns out that, if you add enough butter and sugar, they gobble it all up! 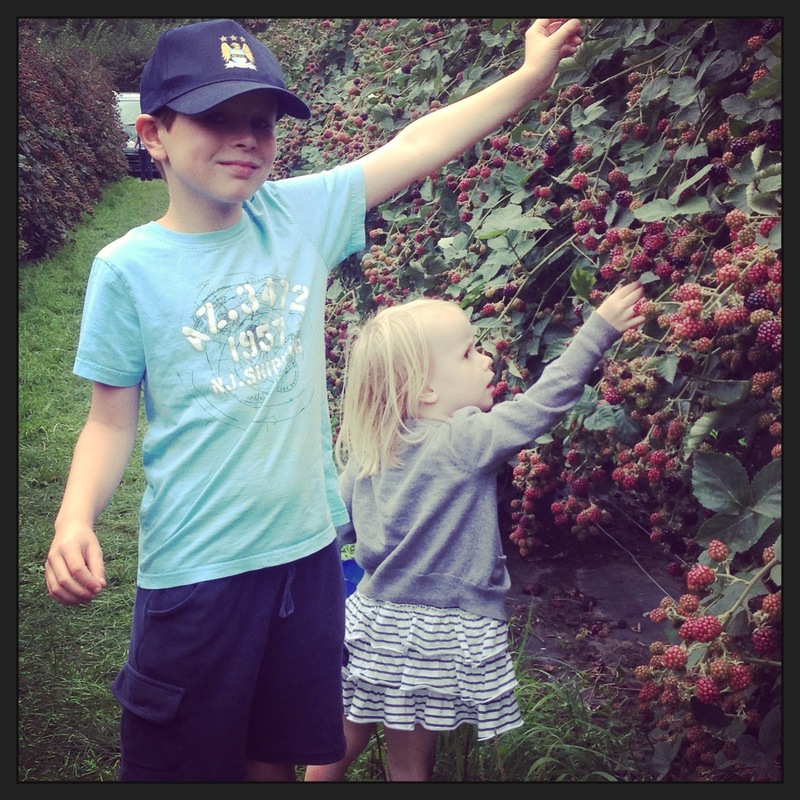 It probably also helped that they had picked the apples and blackberries themselves a couple of days before. For the crumble filling, heat the butter in pan over a medium heat. Add the apple slices and fry for 3-4 minutes, or until softened. Add the sugar and stir well to coat the apples. Continue to cook until the apples are tender and golden-brown and the sugar has melted. 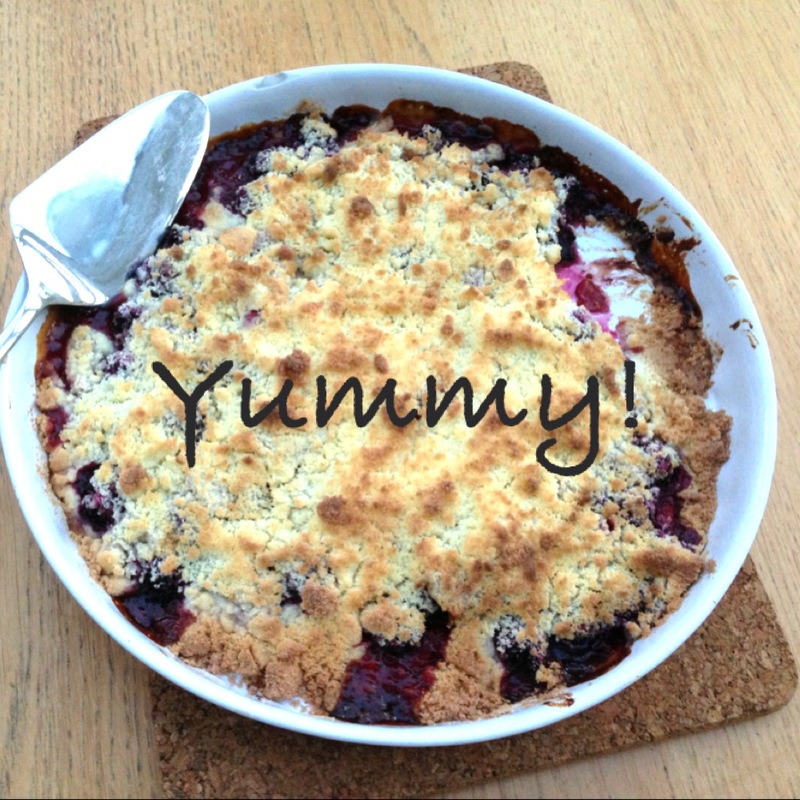 Spoon the apple and blackberry filling into a shallow ovenproof dish. Sprinkle over the topping mixture to just cover the filling. Transfer the dish to the oven and bake for 20 minutes, or until the topping is pale golden brown and the filling is bubbling.